Fallout 76 definitely wins the award for most divisive E3 2018 reveal. The game certainly looks ambitious, and has the potential to be a massive hit, but some fans are concerned about it being a multiplayer-focused shared world. Is Bethesda following most of the rest of the triple-A industry and fully embracing the “live-service” model? Not necessarily. GamesIndustry.biz asked Bethesda executive producer Todd Howard whether online multiplayer was the future of the studio, and he largely shot the notion down. What do you think? Are you excited for Fallout 76? Or is the game a troubling sign of things to come? 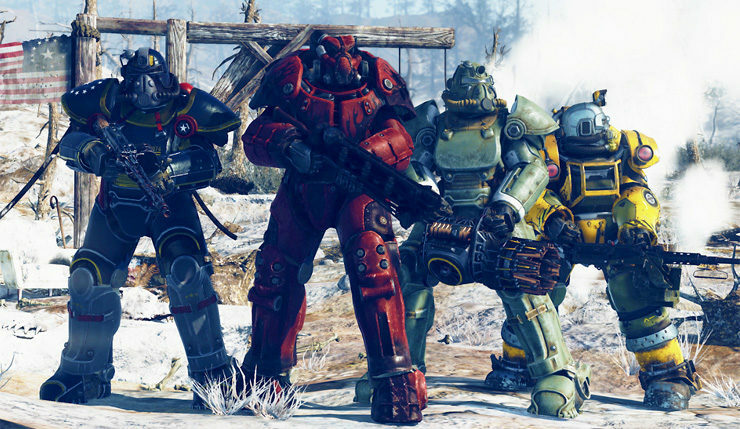 Do you think Bethesda is serious about still doing traditional single-player RPGs? Fallout 76 drops onto PC, Xbox One, and PS4 on November 14.